July has come and gone and with August comes the end of summer, school starting and a whole new list of things that I love! But before I start on that list I want to share my favorite things through the month of July. My throw pillows. I absolutely LOVE my pillows. Yes, I am aware that it is summer time. Yes, I am aware that it is hot ALL the time, but that doesn’t stop me from piling them all on my bed and laying in the heaven that is my throw pillows. 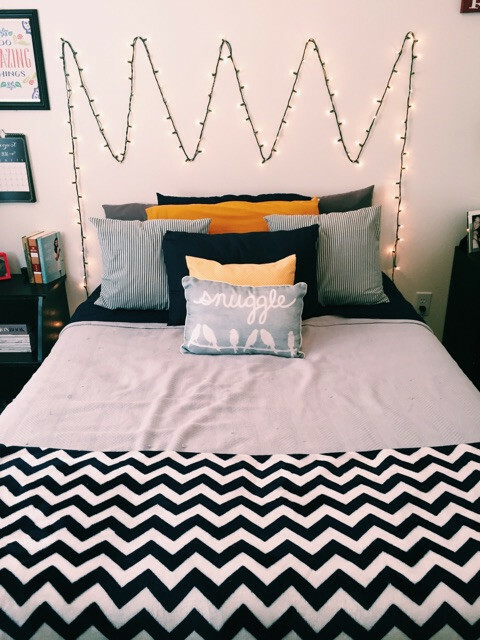 Just remember, there is no such thing as TOO MANY pillows. 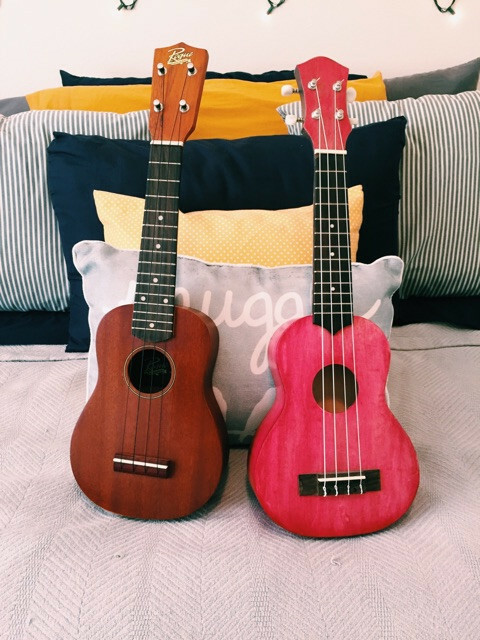 My ukuleles. I grew up surrounded by music. I started playing the violin in the 4th grade but it didn’t stick for too long. I tried playing the guitar, but I wasn’t feeling that either. I received the brown one for Christmas a few years ago and ever since that my collection and love for the instrument grow. I love that I can travel with them. I really just enjoy sitting down and learning new songs. My style books. When I first started getting into fashion, I would read these books. They really helped break down everything fashion and beauty. 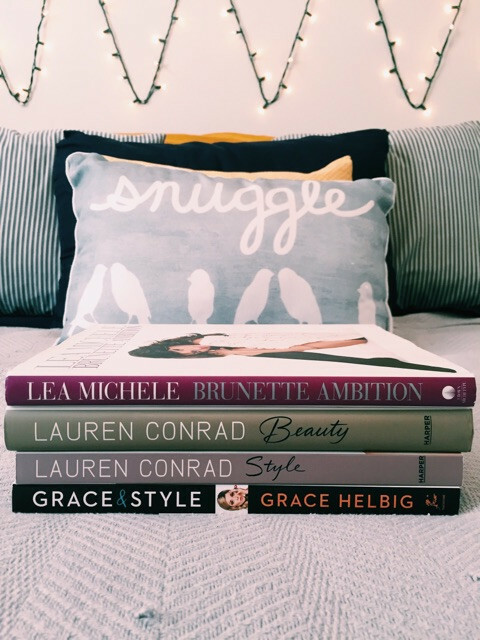 They are great books for those who are wanting to learn a little more about fashion/beauty or for people who are trying to create the perfect wardrobe. 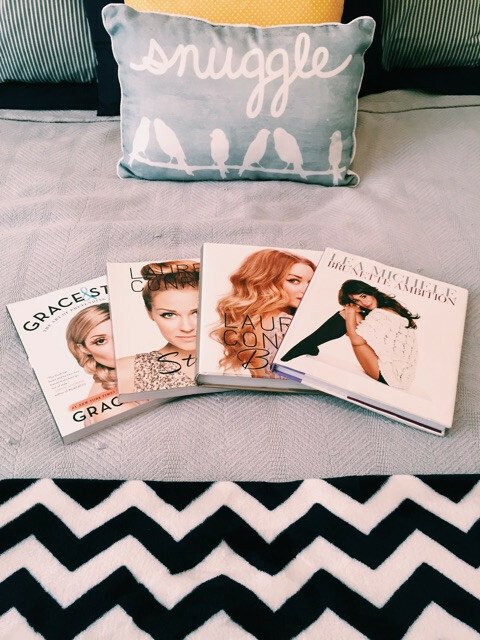 Grace&Style by Grace Helbig, Style by Lauren Conrad, Beauty by Lauren Conrad, and Brunette Ambition by Lea Michelle. These girls are true icons and great role models. 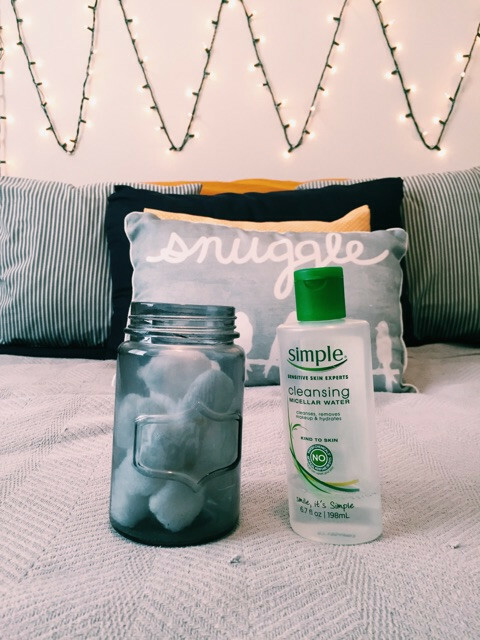 Simple’s cleansing micellar water. My holy grail face cleanser. I have the most emotional, irrational and confusing skin. If I wash it with a normal cleanser, I just break out more. Its a horrible cycle of wanting to have a clean face and not wanting to break out. That is until I found this amazing cleansing water. It removes all makeup and dirt from my face with out freaking out my skin. It’s wonderful. 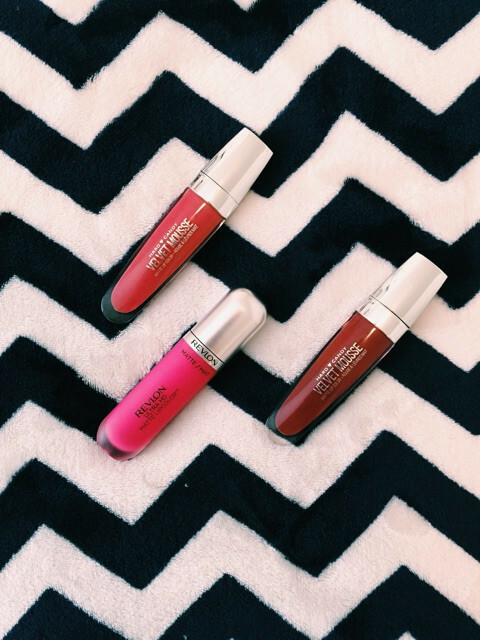 Liquid matte lipsticks. Liquid lipsticks are all the rage right now and I am 100% invested in them. I was skeptical at first because I’m not a huge lip gloss fan (I don’t like the sticky feeling on my lips). However, I am head over heels for these bad boys. They are long lasting and stay on my lips (not my face) when I eat. Which is the biggest factor I look for in a good lipstick. 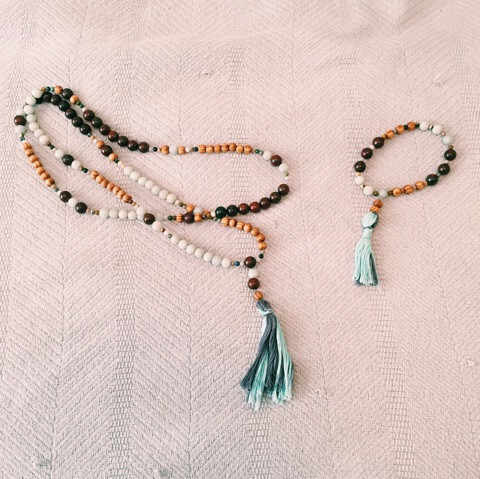 These are my Mala beads (also known as prayer beads). I made these myself and I use them during my meditation or when I have an extreme amount of anxiety. These have really helped me when I am feeling too anxious to get things done. They have really helped me and I definitely recommend them to anyone suffering with anxiety. Nothing has made me feel better than some meditation. This summer has seemed to fly by! Pretty soon we will all be back in school and the leaves will be changing colors. I’m sure I’ll have more favorites in this upcoming month and I can’t wait to share them all with you! Hope you all had a wonderful July! Previous What’s in my Bag?